Did you know that it's legal to keep chickens in the city of Lincoln? There are certain limitations regarding permits and numbers, but you could actually have a little flock of hens in the capital city. 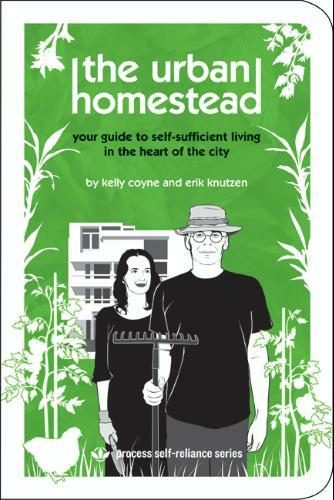 The reason I mention this is because I recently happened upon The Urban Homestead, a book about living self-sufficiently in a city by doing things like growing your own food. I've always wanted to live in the country with animals and fresh vegetables from the garden, but I also like living in close proximity to things like bookstores and coffee shops. Could urban homesteading be the perfect compromise? Plus, with concerns about the economy and environment at an all-time high, the idea of self-sufficiency is an intriguing one. At the same time, I have my doubts that anyone with a full time job could really manage gardening and converting to solar power in their free time. What do you think? Is urban homesteading the city life of the future? Or is it just environmentalist hipsterism? Do you know anyone with urban chickens? Edit: For those who are curious, here are Lincoln's chicken laws.